Online access to company data makes it easy to get work done on the road, but if devices fall into the wrong hands, sensitive company data (and personal information) is at risk. 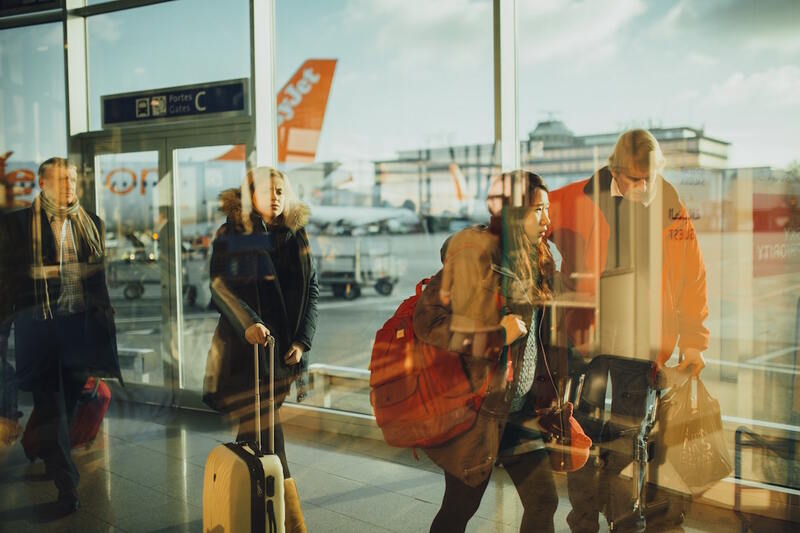 When traveling for business or pleasure, completing a cyber security checklist can mean the difference between a seamless trip and complete disaster. After you book the hotel and reserve a rental car, make sure you’ve gone through the following 7 cyber security tips for business travel. When traveling, the first step is ridiculously simple: Limit the devices you bring to only those that are absolutely necessary. This also applies to credit cards and personal identification cards. Bring only the ones that are critical for the trip and leave the rest at home. If you’re worried about funds, store your credit card numbers in a secure password manager so that you always have access to multiple forms of payment. A travel-only phone allows you to stay connected without bringing along all the sensitive information stored in your daily device. Some employers offer devices that are specifically for travel and are wiped clean after each trip. This extra step will keep contact lists, files, and other sensitive information from falling into the wrong hands should your phone get stolen or lost. This step applies to when you’re at the office and on the road. Always keep your operating systems up to date to ensure your devices have the latest security patches to protect them from a cyberattack. These regular updates will also make your devices run faster and stay compatible with all your apps and other software. Again, this tip doesn’t just apply to travel. Anti-virus protection should be part of any cyber security plan. In addition to protection against viruses, this software can detect spyware, warn you when emails contain dangerous attachments or links, and alert you when a cybercriminal is trying to remotely take over your device. Not all public Wi-Fi is created equal. If a network is unsecure, wait for a secure network before checking your bank account or accessing other sensitive data. Always confirm the name of the network with the cafe, hotel, or airport before connecting to avoid “rogue” or “evil twin” networks. These networks are set up by cybercriminals looking to gain access to your data and the names can look almost identical to the official public Wi-Fi. For example, a rogue network at the airport might be named ‘Airport Network,’ making you assume it’s the real deal. You should also be wary of setting your phone to automatically connect to public Wi-Fi networks in an attempt to save data. Instead, take the extra time to manually log-on to an available network, first confirming that it’s legitimate (see “rogue” networks above) and secure. If a network is unsecure, use your mobile data to get online. This is always the safest option and is especially important if you’re planning to access confidential information like your bank account or sensitive company files. Automatic check-ins and location tracking may be an easy way to share your whereabouts with friends and colleagues but it also notifies criminals that you’re not at home or in your hotel room. Same goes with social media posts. Best to save the Twitter and Instagram updates until after you return, if possible. Pairing your smartphone with the rental car might make for convenient navigation but it can also expose your device to security threats. Even after you end the connection the car’s software may still cache your information, potentially revealing contact lists and any other sensitive data stored on your phone. This is where a travel phone comes in handy.